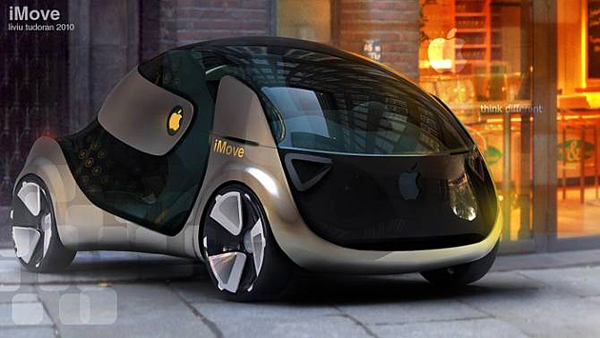 Apple To Release iMove – Smart Concept Car by 2020. 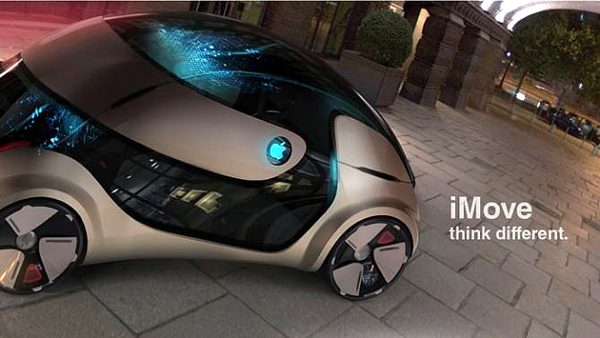 The car of the future is finally here, and it is made by Apple. It is simply named ‘iMove’ – created by auto designer Liviu Tudoran. After creating some of the best computers, phones, tablets and music players, designers have now created the ultimate car of the future. It is a zero emissions vehicle that will be propelled by electric motors, and of course it will feature some of the best gadgetry that we’ve ever seen in a car. The main idea is to create an Apple branded car that will break the general idea of conventional vehicles by the year 2020. The vehicle is inspired from Apple products and the lifestyle of those who use them. This small city vehicle is powered by electricity and will be able to seat 3 passengers in a variety of configurations. The interior space shines with a full touchscreen display that covers the entire dashboard and includes a variety of gadgets to play with. The top of the iMove is inspired by Apple’s Macintosh mouse shape and can also open while on the move to give a cabriolet feeling. The exterior surface is covered with a photochromic material that allows the user to change the vehicle’s appearance using available presets. Luggage is stored under the elastic textile material placed in the rear of the vehicle. The material can hold any type of object under its pressure. The roof of the vehicle is covered with pyramidal receptors that use sunlight to generate electricity to charge the vehicle’s electronic dashboard. Are you ready for the car of the future? It’s finally here!